Grossing technology has developed into a subspecialty in modern surgical pathology laboratory due to rising number of outpatient surgeries, especially the increasing biopsy specimens. Grossing has become broader than sampling (cut in). 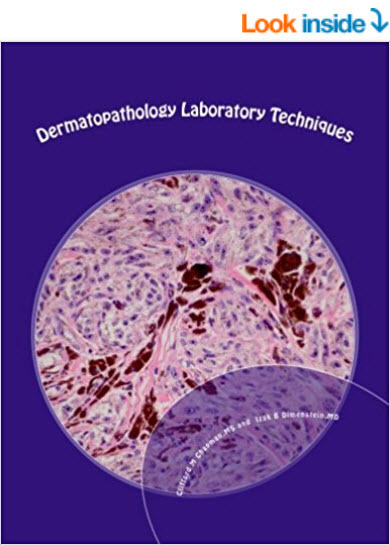 While all rules and recommendations of classic grossing techniques remain in place, the assembly line- like processing in surgical pathology laboratories requires a different type of work that considers the importance of the silent language of mutual understanding between the pathologist, the grossing person and the histotechnologist. 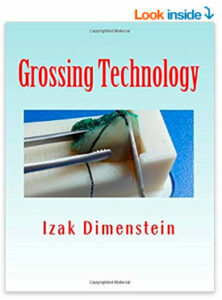 With some local differences in practice, grossing technology includes three main components: specimen accession, grossing (sampling, cut in), and follow- up. The large number of biopsies that arrive from different sources in mostly centralized surgical pathology laboratories requires special efforts to prevent specimen misidentification. These measures start upon receipt of the specimen and continue throughout the stages of processing, especially during accession. Advancements, such as bar- coding, gradually become a routine. During accession, the specimen is triaged according to priority, preservation, ancillary studies, and effective workflow. It is essential to understand the variety of special methods which include, but are not limited to cytology, cytogenetics, molecular pathology, EM, IF, etc. This is the prerequisite for quality assurance, productivity and the turnaround time (TAT). In surgical pathology laboratory, the surgical number is used for both filing and billing purposes. In many laboratories, the accession process is connected with billing through Current Procedural Terminology (CPT), which requires knowledge of the CPT coding practice. Sampling is the “main course” in grossing technology. The grossing technologist’s responsibility is to prepare the specimen for histology processing to make the most diagnostic features of the specimen visible on the slide. The grossing technologist should ensure correct embedding of the specimen or its section. The knife and the ink are the main tools of communication between the grossing technologist, the histotechnologists, and eventually the pathologist. Other numerous responsibilities (description, fixation, etc.) must not obscure this main aim. Many standard procedures, such as logging in the histology information in the computer, counting cassettes, comparing logs, etc., are time consuming and boring, but they help the grossing technologist to prevent many mistakes. The embedding supervision, the correcting gross description and following the pathologist’s diagnoses help to maintain quality and improve performance. Often underestimated, embedding supervision prevents wrong specimen’s presentation on the micro slide, helps histotechs, and teaches the grossing person how to sample the specimen in best way. Occasional embedding some specimens by the grossing technologist ought to be a common practice. Besides the three main components mentioned above, the grossing technology encompasses more aspects. The safety of the technologists, the co-workers, and the laboratory environment is important part of grossing technology. Maintaining proper condition of the instruments and equipment is also significant part of grossing technologist’s responsibility as well. Understanding grossing technology details is necessary to ensure the quality of the initial stages of specimen processing in surgical pathology. Grossing technologist, as a subspecialty with broad range of responsibilities in the grossing room, is emerging in surgical pathology laboratory practice. Grossing Technology. A Guide for Biopsies and Small Specimens book (Amazon. com) summarizes grossing technology issues in surgical pathology and research histology laboratories.